Writing a storybook is not an easy feat, let alone writing a best-selling storybook. While on a train from Manchester to King’s Cross station in London, the now famous and a billionaire author, J.K. Rowling conceived the idea of a magical world of wizards and witches. 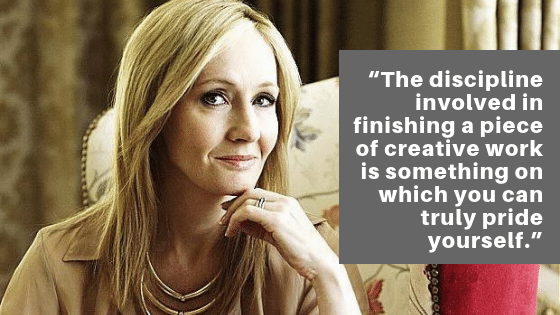 Although Rowling had the idea of writing a great storybook and she wanted to complete her project, but the book was not written until 6 years later. It was not an easy journey. After she got the idea of the book, she suffered the devastating death of her mother. Rowling said that the day her mother died was the most traumatizing moment in her life. She had to stop working on her book and it was 6 months after she got the idea of the book, and she was 25. After her mother’s death, Rowling decided to start fresh and thus, she moved to Portugal and began her new journey as an English teacher. Her marriage only lasted 13 months. Rowling then got back to the UK with her daughter, Jessica, for another new beginning. Living in a cramped apartment with her daughter, Rowling was jobless and penniless. She fell into deep depression and even considered suicide. All she got at that time, was the 3 chapters to her book. In the next few years, Rowling was forced to rely on the state benefits for a living and she spent most of her time continued to write her book in cafes while her daughter sleeping pram next to her. And like all other success stories of great writers, she received many rejections from publishers. Eventually, Bloomsbury gave her book a try. And the rest, they say, is history. I bet you have heard about the book, Harry Potter and the Sorcerer’s Stone. 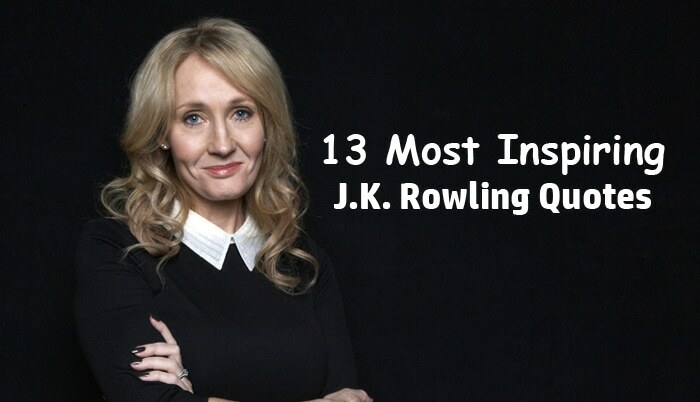 After the huge success of her first book, Rowling continued to write and publish 6 more books on the same series. According to Biography.com, the Harry Potter series sold more than 450 million copies. The series was then turned into a blockbuster film franchise. 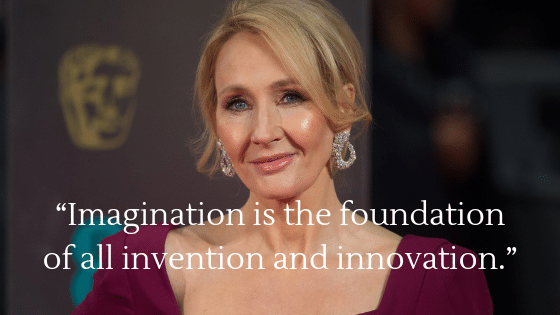 Today, J.K. Rowling is a famous writer, a billionaire, and her name has become an inspiration to people. And according to this article, Rowling was estimated to be worth about $1 billion. She becomes the world’s top-earning author and is also named as one of the most powerful celebrities in the world. I’m totally inspired by J.K. Rowling and can vividly remember the first time I watched the first Harry Potter movie on TV. Here’s a woman who has gone through so many setbacks and hardships in life, but she never gave up on her dreams. Instead of choosing to let go of her dream of completing and publishing the book, she pressed on and work diligently on her dream, no matter how tough the situation is. And I believe this is what we all should learn from her. 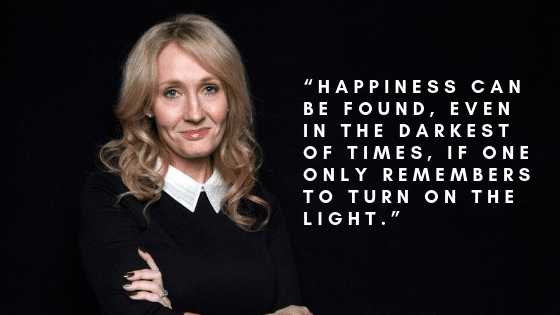 Here are the 13 most-inspiring quotes from J.K. Rowling that can remind us to press on no matter the situation. I hope you are inspired. One of the best quotes from Rowling. In life, failure is inevitable. Nobody likes to fail, but it is also inevitable and if we want to produce outstanding work in our lives, we must learn how to bounce back from our mistakes and failures. We must treat failure as a lesson, not something that drags us down, but as something that catapults our success. Remember this, my friend, failure is an event, not a person. It doesn’t matter if you fail now. You can choose to get back up and use your failure as a stepping stone to reach your success faster. 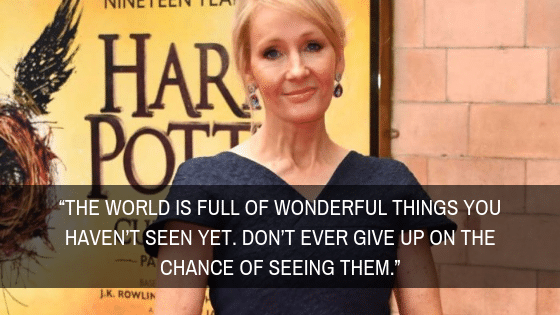 Rowling failed many times in her life, but she did not give up. Although Rowling is obsessed with the world of magic and wizard, she says that we don’t need magic to change the world and our lives. In fact, we already possessed the power to change the world and our lives. We can imagine better, make a better decision, and act to live life according to our own terms. Thus, trust yourself, as Rowling did. Believe that you have the potential to achieve greatness and live your life at your maximum potential. Never ever underestimate yourself. You are powerful beyond measure. You can be a very talented person, but if you don’t make the right choices to go for what you want, you will never live a fulfilling life that you desire. When it comes to living a great life, your decision to make the right choice and to stick to it is more important than your skills and abilities. Therefore, identify exactly what you want out of your life. And then formulate a plan to get there. More importantly, stick to your plan, don’t give up, and when the tough time comes, learn to endure it. Transform your failures into success. If you want to learn how to achieve all the goals you set and live the life you have always dreamed about, download the Exceptional Life Blueprint now. 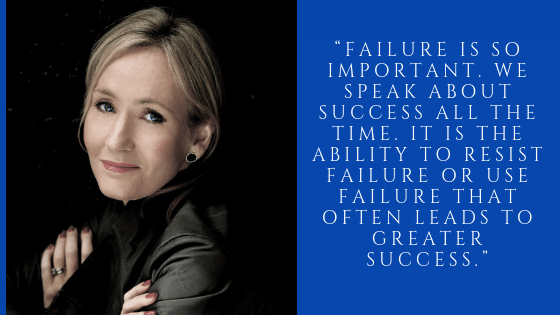 When Rowling was faced with difficulties and setbacks, she discovered that the failure was there to show what was essential and what was unnecessary. And so she stopped pretending and be true to herself. She then put in 100% focus and work on the work that was truly mattered to her. Hence, ask yourself, what is truly important to you right now? 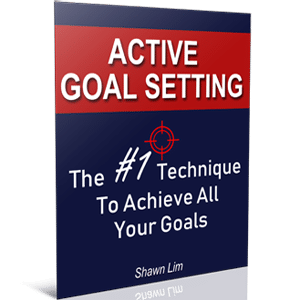 Are your goals something that you truly want to achieve? Or they are mere wishes that you wish to have? Once you understood what truly matters to you, concentrate all your energy and work on it. You don’t have to feel ashamed of all the failures and difficulties you face in life. There is nothing to be ashamed of. Nobody will remember the ones who give up. People only remember your triumphs. Thus, do not give up and continue to work forward. As long as you don’t quit, you are not a failure. And most of the time, you need to try a few times before you can succeed. Failure is a learning process. It is normal to make mistakes and fail to achieve the results that you want. The key is to turn what has happened into your experience so that you can come back wiser. You learn the most from your failures, not from success. That is why we say that failure is the mother of all successes. By the way, read more. Like what Rowling suggested. The more you read, the more you know, the more you can learn and the more you can be inspired. Sometimes, there is no point to force yourself to break through the wall. Sometimes, you need to slow down and give your mind some fresh air to rejuvenate yourself. You have to understand that you are running a marathon, not a 100M sprint. Therefore, you must take short breaks during the day to recharge yourself. You see, you charge your phone every day, right? Why don’t you do that to yourself? But don’t be mistaken by thinking that you should stop. No, you can slow down and take a rest, but it doesn’t mean that you should let go of chasing your dream. An optimist sees the world full of opportunities while a pessimist sees the world with negativity. If you want to live a great life, be an optimist. Believe that the world is full of great surprises and there is a lot of good in it. When you expect to see good things, you will often find it. Every day may not be good, but there is good in every day. Your mission is to train yourself to look for the good. Focusing on the negative will not make your life any better. Thinking about the positive will at least make you feel better and when you feel good, great things come to you. A lot of people thought that failure is the opposite of success. No, it is not. In fact, failure is on the same side with success. Without going through failure, you will never learn. And if you don’t learn, you will never improve and you will never get the results you want. The key to success is to develop the ability to turn your failures into opportunities that lead you to greater success. He also said that logic will get you from A to B, but imagination will take you everywhere. You must embrace your creativity and make good use of your imagination. What you can imagine, you can achieve. And every success starts with an idea, which is an imagination. The computer you are using was once an idea and an imagination in someone’s head. Your phone, your house, your car, and everything else was once an imagination. Dare to dream and use your imagination to portrait the future you want. Happiness is about doing the things that you love. But at the same time, you need to survive by getting paid. Thus, find a way to profit from doing what you are passionate about. You can only perform and do great work when you love what you do. Plus, people are willing to pay higher for great work. Therefore, you should align your passion with your work. Success is about being consistent. It is what you do day-in and day-out that will determine the results you get in life, not what you do once in a while. “We are what we repeatedly do. Excellence then is not an act, but a habit.” These were the wise words from Aristotle. Your ability to stick to your plan and your dream will determine your overall success in life. It is the discipline to follow through that counts. 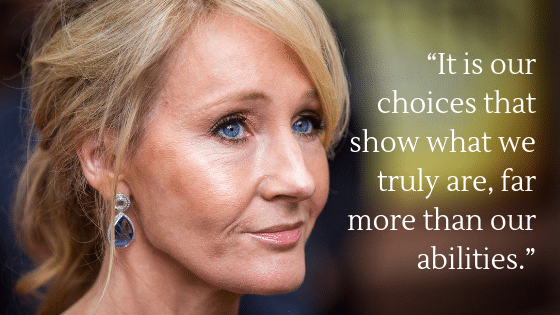 Rowling may have faced many failures and setbacks in her life, but never once she gave up on her dream. No matter how difficult and how tough it was, she pressed on and moved forward. She wrote the first Harry Potter book in 6 years. So, my friend, be persistent and have the discipline to stick to your plan. No matter how bleak the situation, there is always a way to turn it around and make a comeback. Don’t forget that the stars shine the brightest when the sky is darkest. It is in the most difficult moments that most people choose to give up. Successful people like Rowling are different. They choose to see the good even when the times are bad. 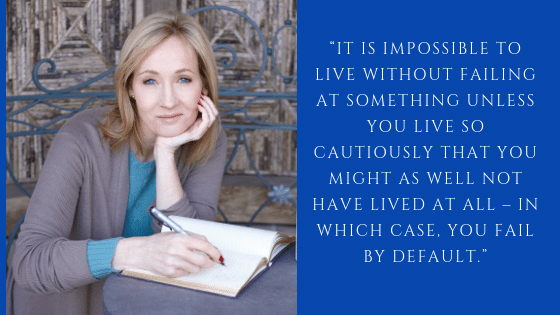 In fact, J.K. Rowling inserted her real-life experiences into Harry Potter. When she lost her mother, she made it part of the story in the book where Harry lost both his parents too. So find a way to turn on the light when it is dark. When it rains, learn to dance, and never be stopped by your circumstances.